TomTom, the market-leading sat nav specialists, has added some interesting software tweaks to its GO x30 range of satnav devices. The successor to the company’s GO x20 range has had a few software updates that should make the driving/navigating process that little bit easier. After getting hands-on with the flagship products at a press launch today, TechRadar saw for itself just how responsive the new IQ Route technology is. The new software update analyses the best-possible journey route, not just be getting from point A to B, but taking into account things like weekday and weekend traffic and even speed bumps in the road. Another decent addition is the Advanced Lane Guidance. Just in case the calming voice of your TomTom isn’t enough when it comes to telling you where to go, a great big arrow will point you to the right lane on busy motorways and intersections so you will never miss a turning again. 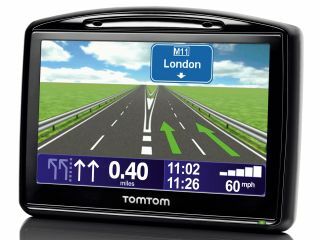 The new TomTom Go range, which also includes Bluetooth hands-free connectivity, comes in five price options, from £399.99 to £249.99. The most expensive model, the GO 930, comes with the maps of 35 countries in Europe, USA, Canada and Russia.